For Brits seeking to escape the Brexit hysteria and what some are labelling the systematic dismantling of the European Union, you’re unlikely to have your anxiety soothed by Demolition. Following the tragic death of his wife in an automobile accident, an investment banker discovers he has a penchant for smashing things to pieces. The director’s previous films, Wild and Dallas Buyers Club, scored highly with us – see how this one fared in this week’s review (online Friday 7 pm). 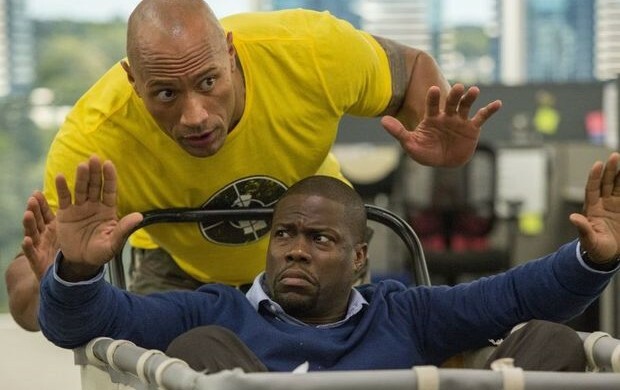 The only other (English language) release this week is a CIA spin on the buddy cop genre starring Dwayne ‘The Rock’ Johnson and Kevin Hart. Central Intelligence concerns a pair of old school pals who reunite via Facebook, of whom one may or may not be a rogue CIA agent. Reviews have been middling. At Gloria you can still see the excellent Mapplethorpe: Look at the Pictures documentary that does a commendable job of summarising the life and times of controversial American photographer Robert Mapplethorpe – screenings start at 14:30 and 19:00. Over at Cinemateket (dfi.dk/Filmhuset) there’s the continuing season of films by the late Polish master Krzytof Kieslowski and plenty to recommend in the Fik du set set, du ville? season – a second chance showcase for the best of last year’s cinema that you may have missed first time around. This coming week there’s Denis Villeneuve’s Oscar-nominated Sicaro (Fri 21:15) in which an FBI agent (Emily Blunt) has her idealistic take on the War on Drugs tested when she’s posted at the US/Mexico border; Me and Earl and the Dying Girl (Sat 16:45) is a dramedy that follows high school friends after one is diagnosed with cancer; and Louder Than Bombs (Sat 21:15) from Norway’s Joachim Trier – his first feature in the English language is a powerful existential drama. At Vester Vov Vov, you can catch Heart of a Dog (vestervovvov.dk) – a documentary ode to a terrier by Swedish musician and performance artist Laurie Anderson. The film has been incredibly well received, with many critics hailing it as something utterly unique in cinema. Screenings are at 15:30 every day and tickets are 80kr.